Would you pay $100 to see a movie? 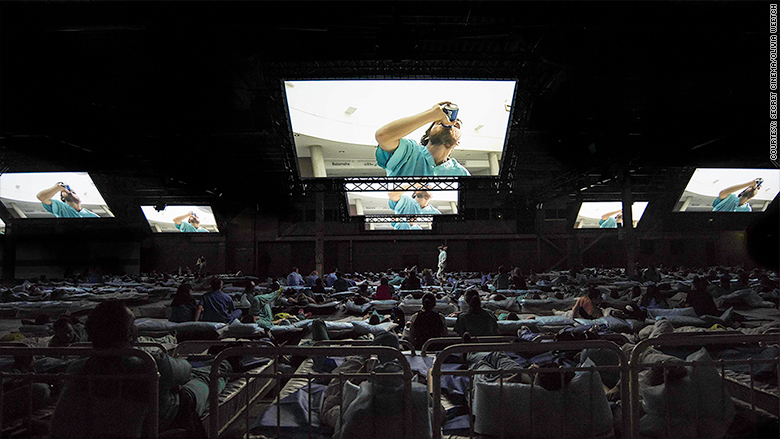 Entertainment company Secret Cinema has convinced hundreds of thousands of people to do exactly that -- sometimes without telling them the title in advance. But this is not a super expensive trip to your local multiplex. You get a lot more than popcorn and a screening. 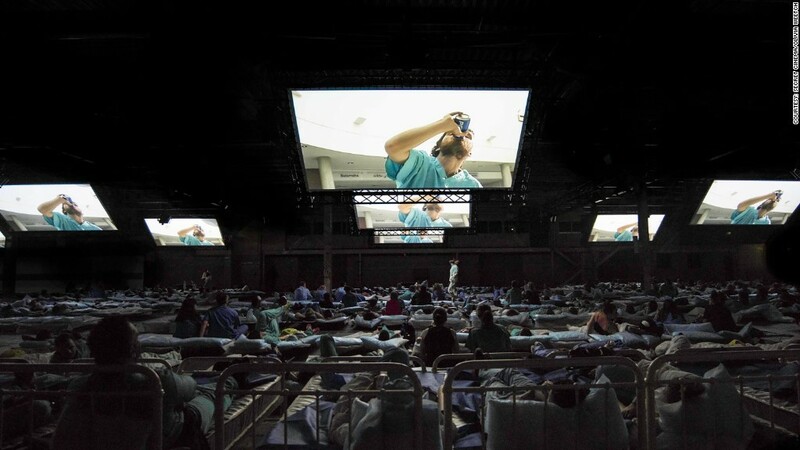 "Instead of watching a film, you essentially are in the film...you live the film," said Fabien Riggall, founder of Secret Cinema, based in London. Riggall says he offers an "immersive theatrical experience." And it appears to be working -- four shows over the past 18 months have attracted 180,000 people. For some events, the movie is a mystery when tickets go on sale. The company's slogan is "Tell No One." Each ticket holder is assigned a secret identity, and told what to wear and where to go, usually in a series of cryptic messages. For "Dr. Strangelove," they took the form of army dispatches. For "28 Days Later," the company sent out invitations to hospital appointments. Once fans get to the venue -- often abandoned spaces transformed into a film set -- they become part of the movie. Actors in character encourage the audience to participate, giving them tasks and pulling them into the plot. The Secret Cinema set of "Back to the Future." The company also organizes events based on cult classics where you know what you're getting -- at least in terms of the movie. Their most recent production of this kind -- "Dirty Dancing" -- brought in 30,000 people, each paying 68 pounds ($90) for a ticket. 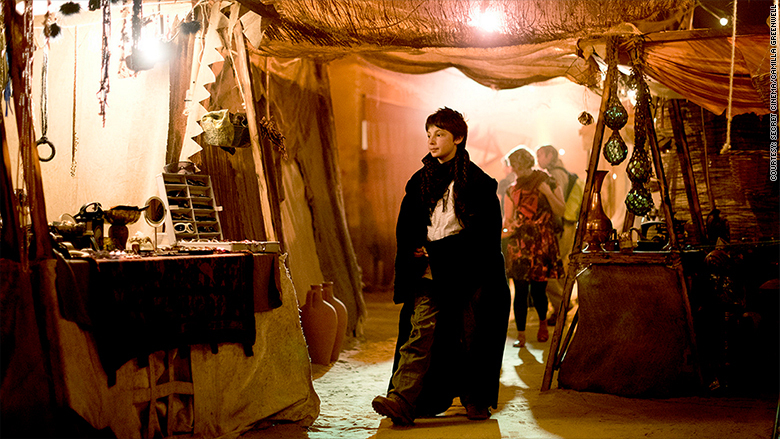 Most arrived at a custom built holiday camp in east London dressed in full period costumes. Some even carried water melons, a nod to one of the movie's most memorable lines. They took dance classes, played lawn games, and snacked in the "staff quarters." They watched the movie at the end of the evening, many quoting lines alongside the actors on the big screen. The event in July was so popular it pushed "Dirty Dancing" back into the U.K. box office top 10, nearly 30 years after it was first released. 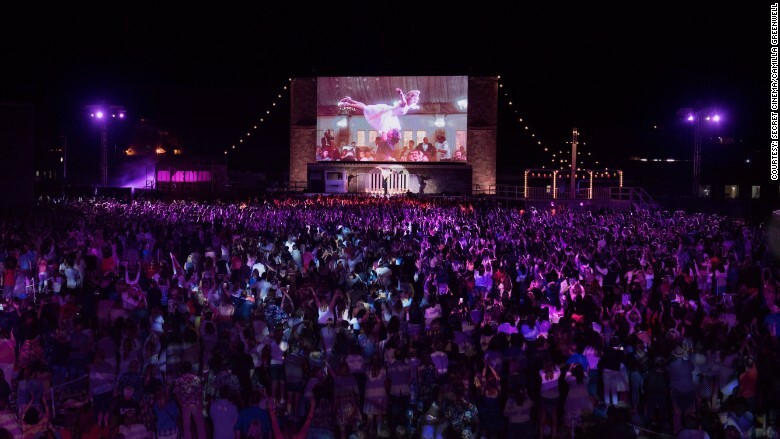 Over 30,000 people turned up to see "Dirty Dancing" this summer. Secret Cinema has had other big hits. Two years ago, it transformed a patch of tarmac in London's Olympic Park into a town complete with stores, a farm, a ferris wheel and a gas station for a series of "Back to the Future" shows. 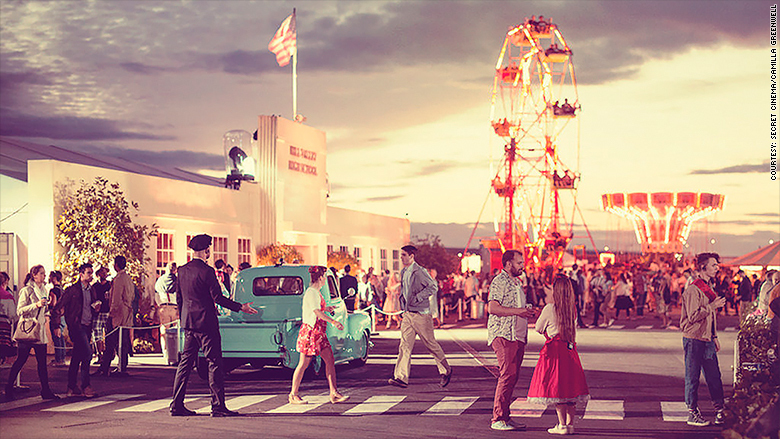 Actors flew on zip lines above the audience and drove around in cars from the 1950s. When the famous Delorian made an appearance, the crowd roared with delight. "I think people are hungry for experiences that would make them feel alive and connected to people," Riggall told CNNMoney. Secret Cinema's screening of "The Shawshank Redemption." Most people embrace the game, even ditching their phones for the night. Taking photos or using technology is strictly forbidden at Secret Cinema events. After all, they have to remain secret. "Doing something secret in this day and age is really great, very special...like a little mystery," Riggall said. 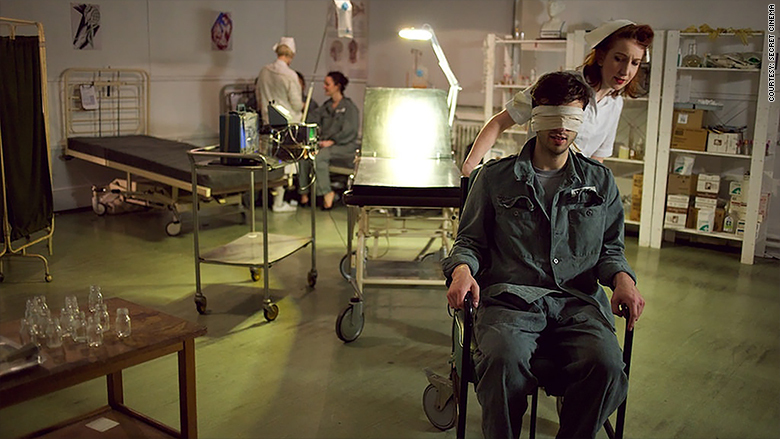 Audience watched "28 Days Later" from hospital beds. Secret Cinema has grown from Riggall and a handful of other enthusiasts in 2003 to 15 full time staff and hundreds of contractors and freelancers. Over 200 people worked on "Dirty Dancing." Last year's "Star Wars" show attracted 100,000 people. They spent the evening in an abandoned printing factory complete with Stormtrooper patrols and a replica of the Empire ship. At £75 ($100) a ticket, the company generated box office takings of roughly £7.5 million ($10 million). "Star Wars" was Secret Cinema's biggest show yet. Riggall, himself a film maker, said his company has tapped into what could be the future of cinema. He's developing a movie that would be shot specifically for Secret Cinema. "If you can bring 20,000 people to a production when they don't know what they're going to see...that can change the way films are made," he said. Given the success in the U.K., Riggall is naturally thinking about expanding into other countries. The U.S. is an obvious choice, but he said he doesn't want to rush it. "The moment has to be right," he said. The company has already hosted one-off events in New York and Berlin. 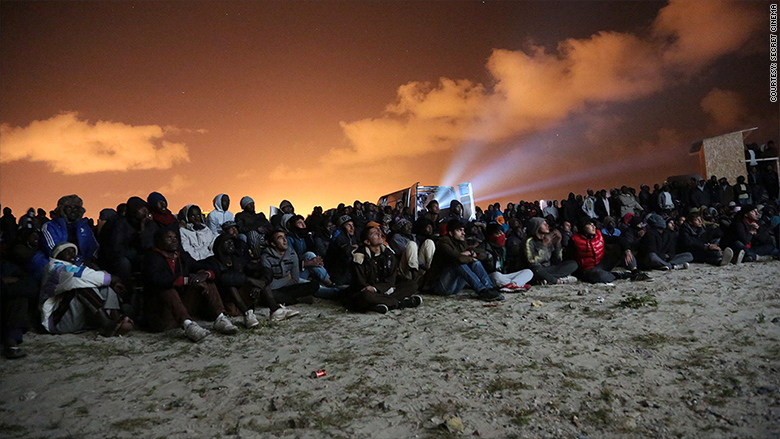 The company set up a screening in a refugee camp in Calais.